On to the next pair. I think my next pair will be made with Sockotta. 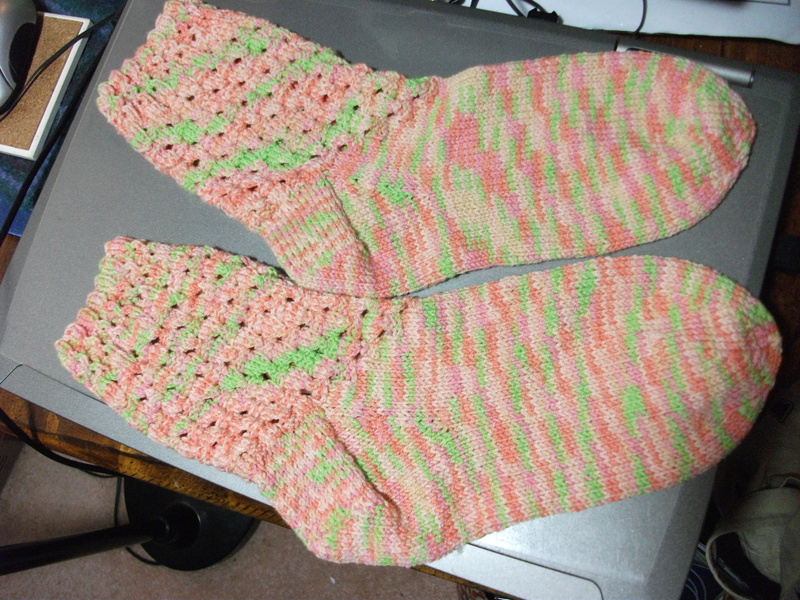 This entry was posted on July 16, 2010 at 1:09 am and is filed under Knitting. You can follow any responses to this entry through the RSS 2.0 feed. Both comments and pings are currently closed. They came out beautiful! My friend Lis loved this pattern (I sent her a picture when you posted the first one). I got her hooked on making socks! She is working on her first pair. You are an inspiration to us all!! !